A tent in Tal Al Rumman, Jordan, where an elderly woman and her children used to live. Living conditions in Jordan have become dire for many. Photo by Farrah Matalka, June 2018, used with permission. Until 2010, reports assessing poverty in Jordan were done regularly every two to three years by the Department of Statistics (DoS). A 2010 report on poverty issued by the Jordanian government, showed that 14 percent of the population lived under the poverty line at an annual 813 Jordanian dinars ($1,144 USD) per individual, showing a rise of 1 percent since 2008. Since then, however, poverty statistics in Jordan have been completely absent due to what critics are calling “a stalling technique”. In the latest House discussions regarding the controversial Income Tax law, the Lower House’s Economy and Investment Committee called for the need to provide all statistics, data and studies on the issue. No figures, neither rough nor accurate, were provided, and the law passed without determining a scientifically-studied poverty line. The law, which was already a sensitive topic before the Lower House brought up poverty statistics, is part of a series of measures instituted since Amman secured a three-year credit line of 723 million US dollars from the International Monetary Fund in 2016. That loan, intended to support economic and financial reform, has the long-term objective of reducing Jordan’s public debt from about 94 percent of gross domestic product (GDP) to 77 percent by 2021. The Income Tax Law was not favorably received and resulted in the overthrowing of the Hani Mulki government in May. Later on, under a new government and with a new draft, the law passed both houses of parliament but is still regarded as a “harmful” decision by experts. In an attempt to calm the waters, Director of the DoS, Qasem Zu’bi, recently said in a press conference that a comprehensive report will be launched during the first quarter of 2019. 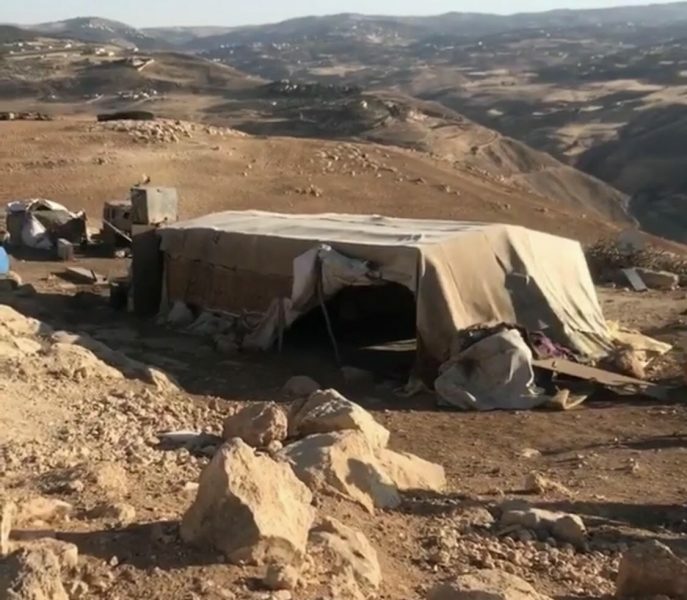 Although no official figures have been presented, the 2019 report is looking at a state of deterioration that has caught up with Jordan, according to various reports launched toward the end of 2018. Jordan stepped down on the Legatum Prosperity Index in 2018 to stand at 91 out of 149. The World Bank classified its economy as “a low-growth scenario”, UNICEF studies showed that 20 percent of children in Jordan suffer from multidimensional poverty, and only 38 percent of aid required to finance the Jordan Response Plan (JRP) for the 1.4 million Syrian refugees was met. Moreover, the United States reduced its funding to UNRWA by 350 million USD, putting 711 schools and 526,000 Palestinian students in Jordan at risk. The government will try and pin this on the Syrian crisis, but the truth is that billions of dollars have been donated by the international community, donations that could have covered refugees’ living costs for more than ten years. Taamari stated that “the real reason behind a collapsing GDP” is the 2006 IMF deal. In the deal, Jordan agreed to sell key state companies to foreign investors. Now, almost all critical services and natural resource productions are foreign-owned. The water company, the Total gas station, and one of the three telecommunications companies are French, while the Potash and Phosphate mines are almost all privatized and foreign-owned. Moreover, the World Bank plays a critical role in Jordan’s energy sector, and over 1 billion US dollars on investments in power and energy come from the private sector. Additionally, Jordanian businessmen have been selling their shares in state companies, something that the government has been “trying to conceal”, according to Taamari. In a country whose public debt has risen to 96 percent of its GDP, frustrated individuals have been trying to help as many people as their limited-resources allow. 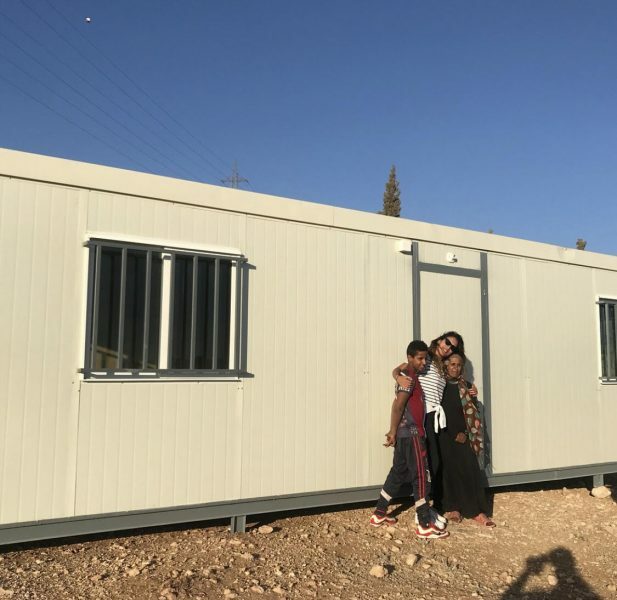 In July 2018, when an offensive by the Syrian government displaced 40,000 Syrians at Jordan’s border, Jordanians lent a hand despite the government’s insistence on closing the borders. In 2018, Farrah Matalka, a graduate in social economics, launched Bringing Joy By Giving Joy, an independent campaign to help distribute 600 food parcels monthly and renovate houses. Unaffiliated with the government or privately-run organizations, Matalka relies solely on donations from individuals via her Instagram account. She posts images and videos of dilapidated houses and areas and asks followers for donations. Other than monthly parcels, the campaign takes on short-term projects. She has raised funds for the operation and recovery fees of child victims of fires, as well as the distribution of school essentials and winter clothing. Farrah Matalka launched Bring Joy By Giving Joy, a charity initiative that fills the gap where the Jordanian government has been unresponsive. Seen here with a new trailer for a family in need. These simple acts of kindness can not overshadow the clear and growing frustration with living conditions in Jordan. Two waves of protests, one that resulted in overthrowing former MP Hani Mulki’s government and another that was filled with anti-monarchy chants are obvious expressions of citizens’ anger. With people paying 70 percent of their incomes to cover personal debts, the rise of public debt and unemployment standing at 19 percent by the end of the year, and a 30 percent rise in drug addiction cases, tackling poverty in Jordan needs a multiple-faceted strategy. DoS Spokesperson Saeda Momani said the report may not be published in early 2019, as the committee working on it has decided to widen the sample and include more Syrian refugee representation as well. “I suggest we delay talking about the report for at least six months,” Momani concluded.